Ellis Patents Varicleat stainless steel cable cleats are available for trefoil, si ngle and bundled cable applications where moderate levels of short circuit withstand are required. 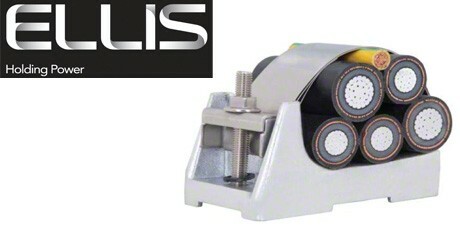 The unique stainless steel Ellis Patent Varicleat design allows the separate over-strap to be installed after the cables have been positioned. The Varicleat cable cleat base is cast in aluminium - the cable cleat over-strap is manufactured from type 316 stainless steel (a silicone LSF liner is available on request). 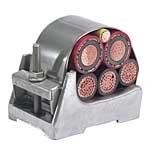 Stainless steel varicleats are suitable for single, trefoil and bundled cable cleat applications. 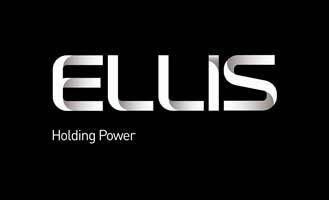 Ellis Patents stainless steel Varicleats have been tested in accordance with the European Standard of "Cable Cleats for Electrical Installations" BS EN 50368 : 2003 - Ellis Patents are the global leader in the manufacture of quality, trusted stainless steel cable cleats.